It is certainly beginning to look a lot like Christmas! My neighbors already have put up their trees, lashed out all the ornaments and took out their long lines of Christmas lights. Filipinos are known to celebrate the longest Christmas season that starts as early as September. I can't blame them though, it just puts all of us in a good mood. Well I felt that way a couple of days ago when a whole bag full of CDO Premium meat products arrived in my doorstep. Let's just say I didn't know who sent it, I think I just received a phone call while they were delivering it and when I thanked them through the number, it turns out I was talking to a delivery guy and not the one who sent it LOL. So in a nutshell, this is like a mystery basket. What's good though is that I absolutely LOVE CDO. 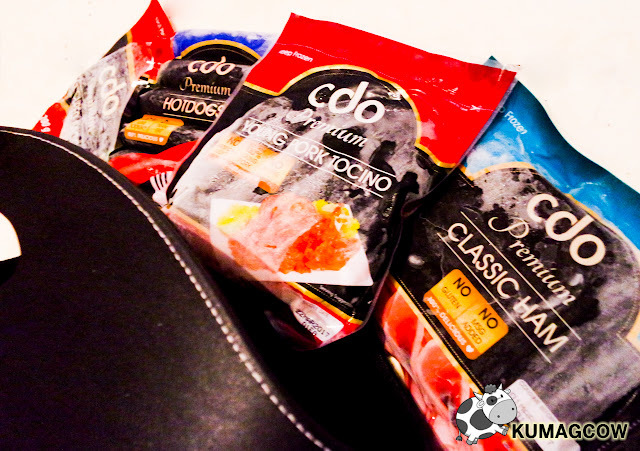 Although I have to tell you, this is the first time I'm trying CDO Premium. So what's the difference? The packaging looks so nice. One look at it and you think it's expensive but if you think about it, the imported brands cost even twice or thrice of what this is. For the quality of meat you're getting, it's substantially at par, I could tell they did take their time to create these lovely products to cater to a more pricey market. 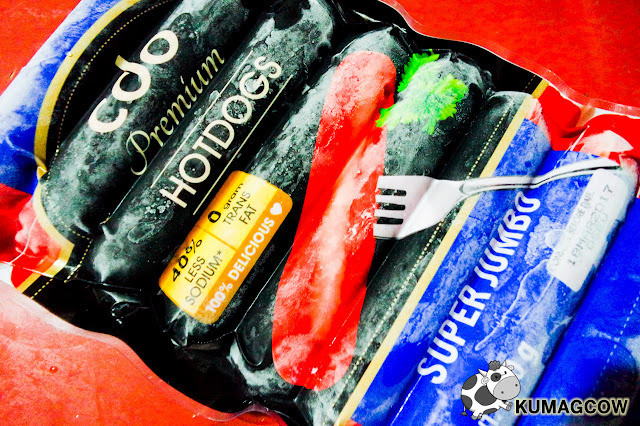 They still have the affordable ones which I have right now in my freezer but for those who want an even BETTER experience for hams, hotdogs and meat products, dish out a bit more and you'll get the PREMIUM line which I tried. Now I cooked these in different days for breakfast and dinner (because I cover events in the aftie). I took my time savoring each of the items because I know even if they stay in the freezer, they'll still taste good a few days after. 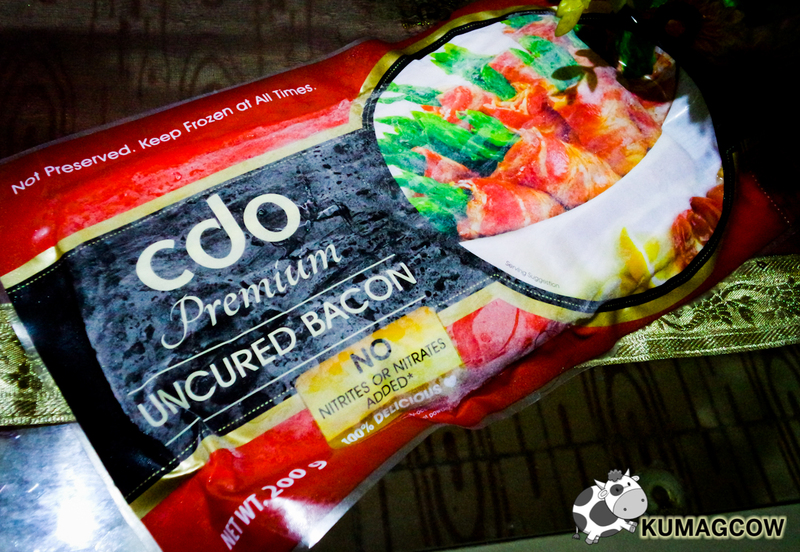 The CDO Premium Uncured Bacon was super good. This was my favorite among the things that were sent to me. I lightly fried it on a skillet with olive oil and did it just enough to have some caramelization on the edges. I could imagine people having garlic rice on the side or just have this with rye bread and a sunny side up egg for the PERFECT breakfast! 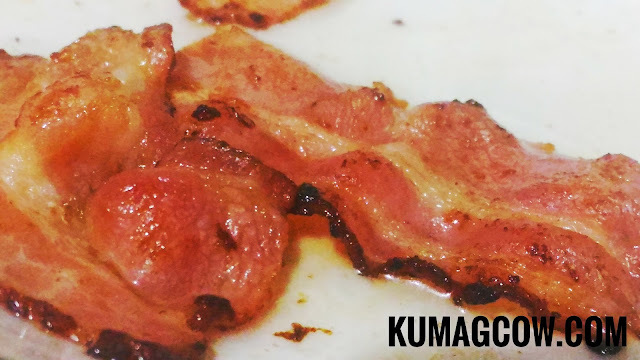 This one however does not have nitrites or nitrates (which are still being connected to cancer) so if you're a health freak, you don't need to worry at all! 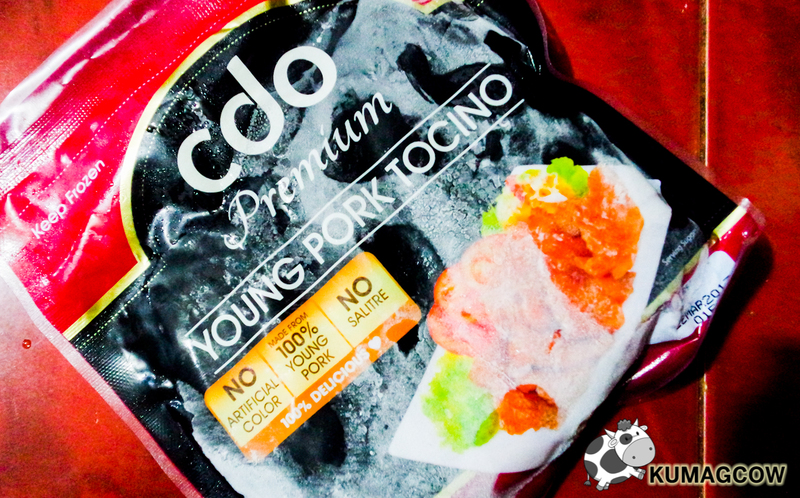 The CDO Premium Young Pork Tocino was my Mom's favorite. It's not overly sweet, just right. Perfect for a cup of white rice in the morning. I like the fact that this doesn't have artificial colors, and salitre. 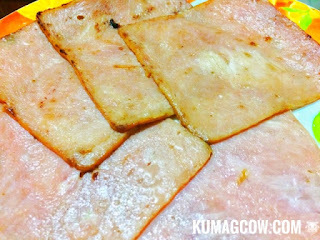 They use young pork for this so it would still be soft even after cooking. Makes sense. 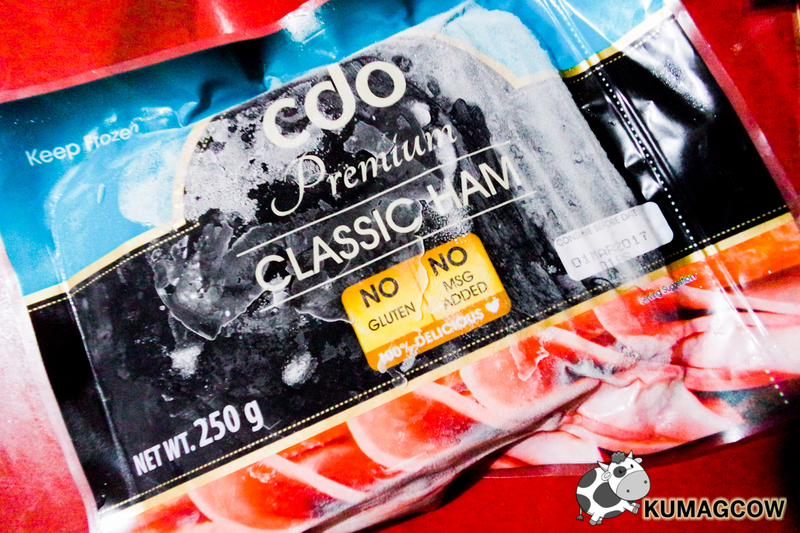 I know it's almost Christmas but if you still won't be getting those huge hams from CDO, you can settle for several slices of it with the CDO Premium Classic Ham. I admit, I had this all to myself for dinner with a toasted bread. 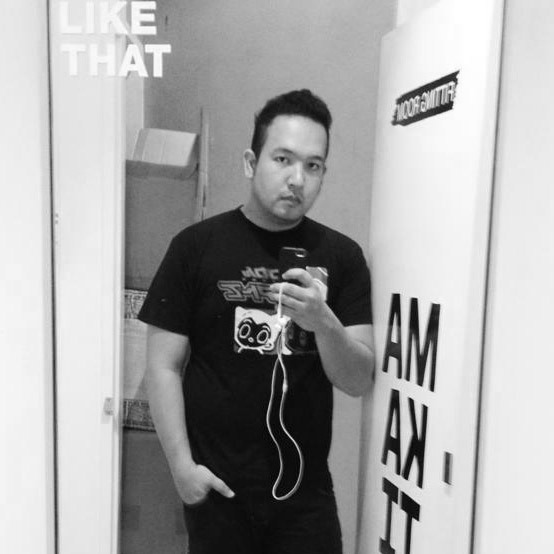 It was a perfect way to cheer me up after getting bruised from the hassles of commute and traffic. It's also gluten free and has no MSG, health freaks and allergic people should rejoice! Kids would love the Super Jumbo CDO Premium Hotdogs. It's got that lovely meaty exterior that's so good to the bite. 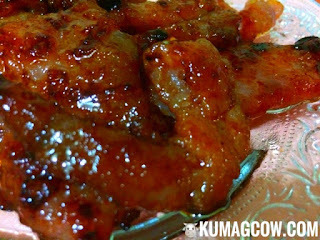 You can also have this with your favorite Filipino spaghetti, or just about any lunch box for school or office. They also had the salt lowered by 40% so if you are a little icky with it, this is your healthier alternative. It's got 0% trans fat too, no need to worry about having a belly later on. I am going to make CDO Premium Meat products now a mainstay on my freezer and grocery list. 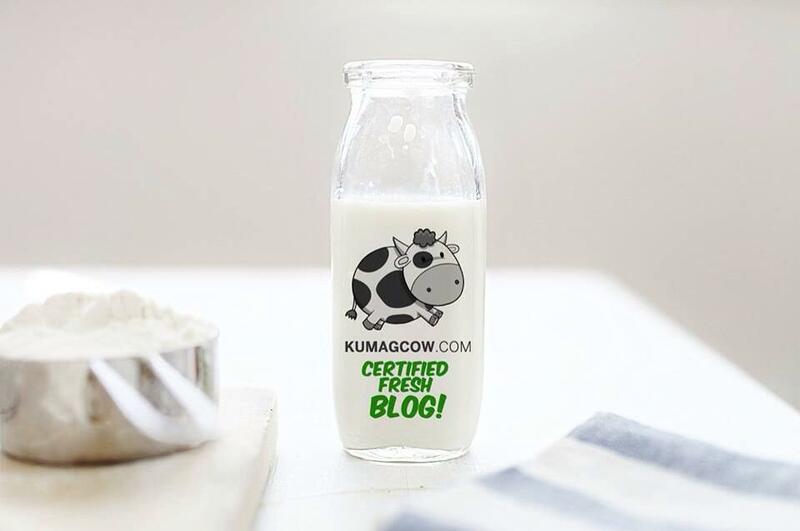 It's all available now on your favorite supermarkets, grocery stores and meat stalls. It just takes a few minutes to cook and tastes great. 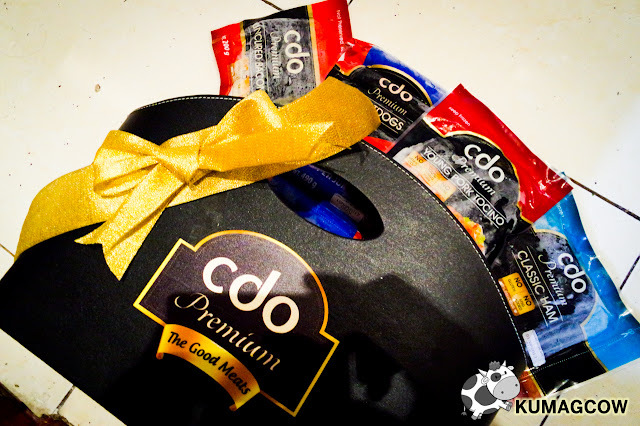 You get premium products without paying too much for it, because CDO products are always priced right, they don't make a fool out of you unlike some brands I know.